Southwest Gas Douglas Parking Lot Reconstruction - KE&G Construction, Inc. 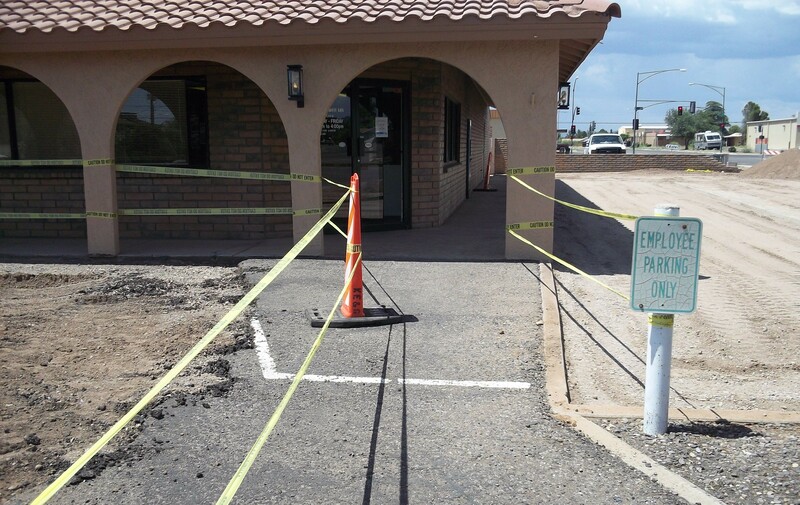 This project involved removing and replacing a 10,000-square-feet parking lot. Construction began in June with an accelerated schedule in order to be completed before the monsoon rains.